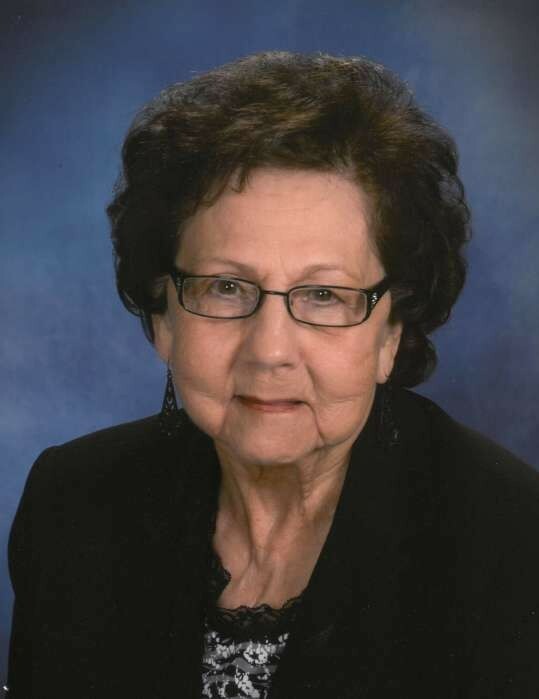 Obituary for Thelma G. Baseore | Cromes-Edwards Funeral Home & Crematory, Inc.
THELMA G. BASEORE, 84, of Sidney, passed from our loving arms to the arms of her Savior and Lord on Wednesday, February 6, 2019 at 12:25 P.M. at Ohio Living Dorothy Love in Sidney. She was born on July 7, 1934 in Fonde, Kentucky, to the late Arthur and Hassie (Flowers) McKinney. On August 4, 1979 she married Robert L. Baseore, who preceded her in death on July 29, 1997. Left to mourn her passing, but continuing to celebrate her life are her four children, Ken (Jeanie Boerger) Gaylor, Darlene Ferguson, Bobbie Jo (Dave) Stewart and David (Mitzi) Gaylor. Her six grandchildren, Brandon (Alicia) Ferguson, Mandy (Nathan) Acker, Wm. Jared Stewart, Aubrey (Joey) Stutz, Abigail (Britton) Morris, Brady Gaylor and seven great-grandchildren, Kealsey Ferguson, Henry Acker, Haiden Stewart, Leia, Lincoln and Alba Stutz and Emilene Morris. She is also survived by three sisters, Helen Huffman of Dayton, Yvonne (Tom) Payne, and Shirley (David) Rhee all of Sidney, one sister-in-law, Paulette McKinney of Ft. Wayne, IN, three brothers, Earl (Thelma) McKinney of Sandusky, Delbert (Maryann) McKinney of Dayton, and Don (Diane) McKinney of Sidney. She was preceded in death by three brothers, Charles, Bill and Carlos McKinney and one sister, Vivian Cobb, and one son-in-law, Michael Ferguson. her life by always showing her great love for her family, friends, faith and her church. She was a member of the Sidney Baptist Church and very active serving as Lead Coordinator of Funeral Dinners, member of WMU, Nursing Home Ministry, mentor for the younger women of the church, official penny counter for the preschool class for VBS, sent personal cards to those who were sick or she missed seeing in church and most importantly, she was a STEADFAST prayer warrior! She had a special heart full of love for all children and they knew her purse always had fruit snacks for them! Thelma was a loving wife, beautiful, devoted and strong mother and grandmother and devout Christian. When meeting her you were always greeted with a hug and parted with her gentle and heart-felt words of 'God Bless You, Honey.' May we all carry on her sweet spirit, kindness and love for others.